Roush Fenway Racing announced today that 2011 NASCAR Nationwide Series champion Ricky Stenhouse Jr. will compete for the team full-time in NASCAR Sprint Cup Series competition beginning in 2013, while Matt Kenseth and Roush Fenway will part ways at the conclusion of the 2012 season. Kenseth is the current Sprint Cup points leader. He won the series championship in 2003. He finished secoind in points in 2006. The native of Cambridge, Wis., has won the Daytona 500 twice – including this year’s. 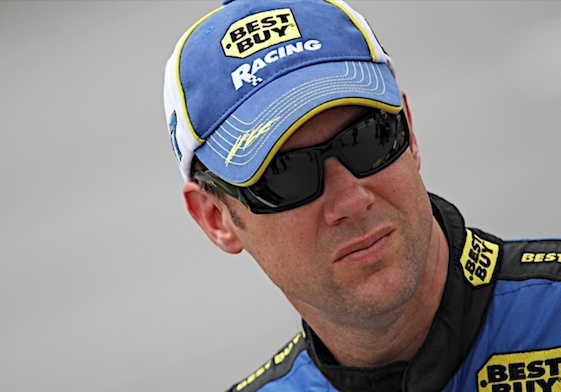 “Of course, I’d like to thank Matt Kenseth for his many years of loyal service,” Roush said. “Matt has been an integral part of this organization for well over a decade, and we are extremely appreciative of his accomplishments and contributions to the team, and will always consider him a part of the Roush Fenway family. Rumors swept the garages at Sonoma Raceway over the weekend that Kenseth was talking to other team. RFR has been unable to secure full time sponsorship for Kenseth’s No. 17 Ford this year. There was no immediate reaction from Kenseth. Nor did Roush discuss reasons for the split. Stenhouse Jr. is one of three drivers currently in development for Roush Fenway Racing. Trevor Bayne, the 2011 Daytona 500 champion and Chris Buescher, who has won seven races in only 42 starts in ARCA competition are also being groomed for Sprint Cup competition for Roush Fenway in the future. This is no surprize to me. Matt will not change with the times. It is NOT about racing….it is about money. Marketing is more important than wins. Danica, Jr., Mikey Waltrip, are all proof of that. Matt the Brat act won’t play any more. His driving and smug mug is not enough. He refuses to market a sponsor or even attemp to do any pub to help the sales team…….Carl Tony JJ Gordon get it…..
hell the kid TREVOR BAYNE…has a better understanding than Matt. ( for different reasons ) if he doesn’t change his ways. Wow I sure didn’t see this one coming, I have been to 3 of his wins at tracks. I don’t know the bottom line here and sounds like we may never know but Cat in the Hat is on the wrong end of this Deal. I’m a Fan Mat good luck where ever you end up! You a class Act.